NICOSIA (ANA-MPA / A. Viketos) — Hellenic Republic President Prokopis Pavlopoulos on Tuesday visited the Hellenic Force in Cyprus (ELDYK) military camp in Malounta, accompanied by Cypriot Defence Minister Christoforos Fokaides and National Guard General Staff Chief Gen. Bassiakoulis. It was the president’s last engagement during a two-day official visit to the island. “The importance of your mission and your national ethos is acknowledged by everybody,” the president said, addressing the Greek soldiers stationed there. Pavlopoulos laid a wreath at the monument for those fallen in action and later visited the ELDYK museum. “ELDYK will be here together with the Cypriot armed forces to impose with their presence international and European law, to end the unacceptable occupation of part of Cyprus and the abominable phenomenon of settlers, and to have freedom and a viable solution to the Cyprus issue,” the president said. 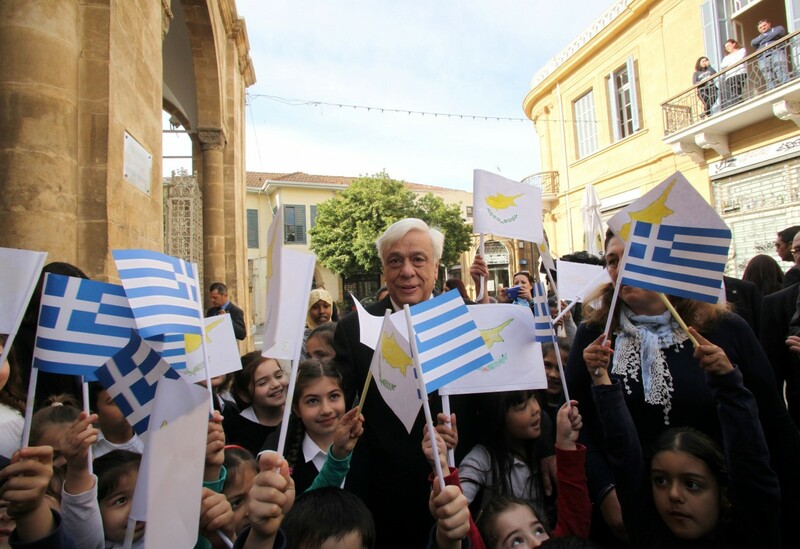 Wrapping up his two-day visit to Cyprus, President Pavlopoulos visited the Greek embassy and had separate meetings with representatives of relatives of those missing since the Turkish invasion in 1974, of municipalities in the Turkish occupied part of Cyprus and of Cypriot refugees. 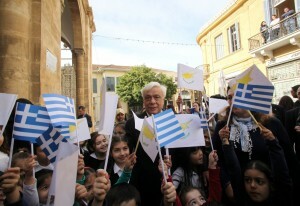 Earlier on Tuesday Pavlopoulos walked in the streets of the old town of the Cyprus capital Nicosia and visited the buffer zone, expressing the wish that the next time that he will visit Cyprus, the international and the European law will have been implemented. Looking at the deserted area of the buffer zone – once a thriving part of Nicosia – he expressed his grief because an EU area is under military occupation. This, he said, cannot be tolerated. The fair settlement of the Cyprus issue, he noted, is in the interest of Turkey and its European course and at the same time in the interest of the European Union. 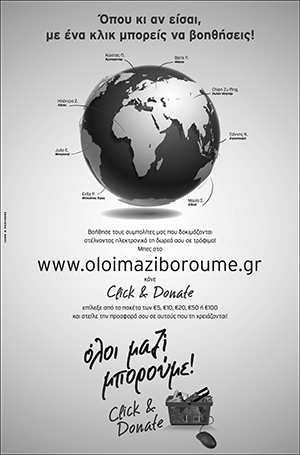 The Greeks of the metropolitan Greece and the Greeks of Cyprus will fight for a united front.